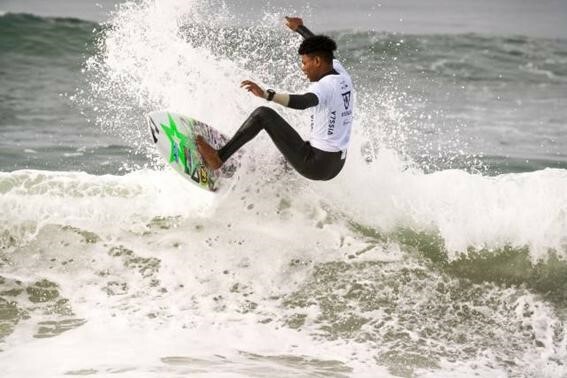 The first two team members to compete, East Londoners Bryce du Preez (U18 boys) and Tayla de Coning (U18 girls), both struggled to find waves with high scoring potential and were relegated to the cutthroat Repecharge rounds after each finished fourth in their respective opening heats. But the rest of the U18 boys and girls, all three of the U16 boys and the two U16 girls in action on the day all placed first or second in their encounters to advance to Round 2 of the Main Event stream. Luke Slijpen (Hout Bay) and Angelo Faulkner (Jeffreys Bay) booked their berths in the next round when they grabbed the winner and runner-up positions in their U18 heat. And Mitch du Preez (East London) and Tide-Lee Ireland (Durban) repeated that result when they were seeded together in their U16 boys match-up. Luke Thompson (Durban) made it a clean sweep for the U16 boys when he secured second spot in his opener while Zoe Steyn (East London), who is competing in both the U16 and U18 girls’ divisions, grabbed a pair of runner-up berths to stay out of the grueling Repecharge stream. Gabi Lailvaux (Westbrook) in the U18 girls and Kayla Nogueira in the U16 girls will take to the surf for the first time on Monday. The good news for those in the Main Event stream is that the heat duration will be restored to the customary 20 minutes from Round 2 onwards. Organisers had reduced the Round 1 heats in all divisions to 15 minutes due to the record-setting 361 athletes in action at the event. Repecharge heats will remain 15 minutes throughout the event which runs until Sunday. Angelo Faulkner, who carried the South African flag during the Sands of the World ceremony on Saturday, was singled for special recognition as one of the ISA’s annual Scholarship Ambassadors. “I was shocked yesterday when the ISA recognized me on stage during the Opening Ceremony as a Scholarship ambassador, I didn’t expect it,” said Faulkner. “The ISA Scholarship Program really helped me with my school and I was also able to travel around South Africa for surfing. Durbanite Jordy Smith, the current No. 6 on the WSL Championship Tour rankings, jump-started his career as an ISA Junior World Champion in 2003 and visited the event to show his support for the future generation of the sport. “The surfers are all putting on a great show,” said Smith. “The boys have been surfing well and now I am especially excited to watch the girls take to the water. Monday’s action will see Lailvaux and Nogueira kick off their campaigns and, conditions permitting, all the team members in the Main Event stream will complete their Round 2 duels. The waves are forecast to increase in size during the day with 1.5 to 2 metre faces predicted for late afternoon and early Tuesday. The wind will be offshore early before going glassy and then onshore in the afternoon. 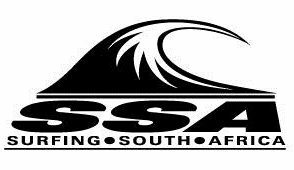 The action from VISSLA ISA World Junior Championship will be streamed live on www.isasurf.org starting at approximately 4.30 pm South African time daily. The website also provides full results, news and downloadable video clips and high resolution images.